"Hundreds of miles from the mainland, surrounded by dangerous waters, lies an island known only as the Isle of Dread. Dark jungles and treacherous swamps await those who are brave enough to travel inland in search of the lost plateau, where the ruins of a once mighty civilization hold many treasures - and many secrets! " So begins the introduction of the classic Isle of Dread but there's much more going on with this isle of castaways then what might be at first seen. the November 1931 issue of Weird Tales. He was one of those who got more then a glimpse of the beyond & went mad for his efforts. Algernon Henry Blackwood 's The Willows shows us a glimpse into another world as two men are subject to dangerous influences of 'other worldly beings';"We stood there, listening attentively together. At first I heard only the deep note of the water and the hissings rising from its turbulent surface. The willows, for once, were motionless and silent. Then a sound began to reach my ears faintly, a peculiar sound--something like the humming of a distant gong. It seemed to come across to us in the darkness from the waste of swamps and willows opposite. It was repeated at regular intervals, but it was certainly neither the sound of a bell nor the hooting of a distant steamer. I can liken it to nothing so much as to the sound of an immense gong, suspended far up in the sky, repeating incessantly its muffled metallic note, soft and musical, as it was repeatedly struck. My heart quickened as I listened. "I've heard it all day," said my companion. "While you slept this afternoon it came all round the island. I hunted it down, but could never get near enough to see--to localize it correctly. Sometimes it was overhead, and sometimes it seemed under the water. Once or twice, too, I could have sworn it was not outside at all, but within myself--you know--the way a sound in the fourth dimension is supposed to come." I was too much puzzled to pay much attention to his words. I listened carefully, striving to associate it with any known familiar sound I could think of, but without success. It changed in the direction, too, coming nearer, and then sinking utterly away into remote distance. I cannot say that it was ominous in quality, because to me it seemed distinctly musical, yet I must admit it set going a distressing feeling that made me wish I had never heard it. "The wind blowing in those sand-funnels," I said determined to find an explanation, "or the bushes rubbing together after the storm perhaps." "It comes off the whole swamp," my friend answered. "It comes from everywhere at once." He ignored my explanations. "It comes from the willow bushes somehow--"
"But now the wind has dropped," I objected. "The willows can hardly make a noise by themselves, can they?" His answer frightened me, first because I had dreaded it, and secondly, because I knew intuitively it was true. "It is because the wind has dropped we now hear it. It was drowned before. It is the cry, I believe, of the--""
"They worshipped, so they said, the Great Old Ones who lived ages before there were any men, and who came to the young world out of the sky. Those Old Ones were gone now, inside the earth and under the sea; but their dead bodies had told their secrets in dreams to the first men, who formed a cult which had never died. 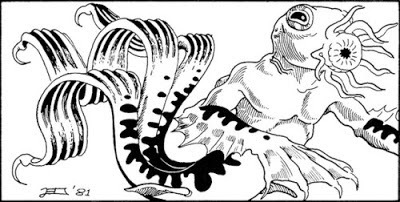 This was that cult, and the prisoners said it had always existed and always would exist, hidden in distant wastes and dark places all over the world until the time when the great priest Cthulhu, from his dark house in the mighty city of R'lyeh under the waters, should rise and bring the earth again beneath his sway. Some day he would call, when the stars were ready, and the secret cult would always be waiting to liberate him." "There had been aeons when other Things ruled on the earth, and They had had great cities. Remains of Them, he said the deathless Chinamen had told him, were still be found as Cyclopean stones on islands in the Pacific. They all died vast epochs of time before men came, but there were arts which could revive Them when the stars had come round again to the right positions in the cycle of eternity. They had, indeed, come themselves from the stars, and brought Their images with Them. " These Great Old Ones, Castro continued, were not composed altogether of flesh and blood. They had shape — for did not this star-fashioned image prove it? — but that shape was not made of matter. When the stars were right, They could plunge from world to world through the sky; but when the stars were wrong, They could not live. But although They no longer lived, They would never really die..." HP Lovecraft 'The Call of Cthulhu' 1926. 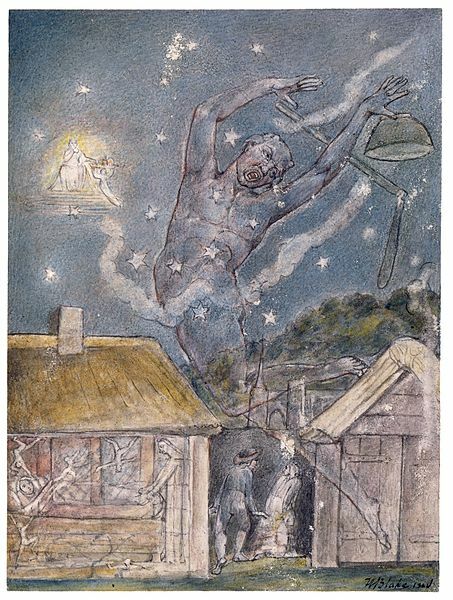 The things that are depicted in 'The Willows' & some of the intermediately Lovecraftian & weird fiction stories are the ancient gods now fallen to the status of demonic monsters of chaos & insanity waiting at the threshold of reality. Some of these things are found waiting at the frontier edges of the world waiting to comeback to claim what's theirs. The Kopru are the perfect example of the type of fallen & degenerate remains of a once proud race. These things are as dangerous as they come & are the left overs from something foul beyond reckoning. These things will feed on anyone who can be claimed by their claws & charm abilities. They have an alien agenda all of their own for the PC's. X1 The Isle of Dread has about the adventure the feel of a 'lost world of castaways' cut off from the rest of whatever campaign world its put into. PC's subject to its wiles will never be the same again. For Amazing Adventures! 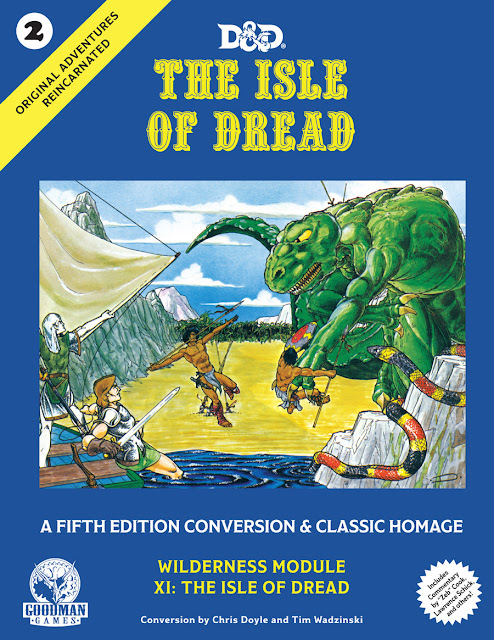 rpg X1 The Isle of Dread is the perfect pulp adventure location. Here the player's PC's can cross over easily with their Castles & Crusades counterparts whist dodging through the machinations of the the Kopru, pirates, dinosaurs, & all that the isle has to offer. The Amazing Adventures! 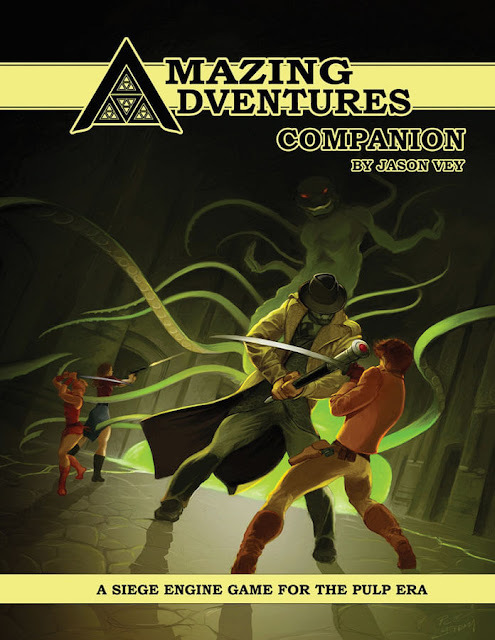 rpg Companion is key to crossing over all of the AA! elements easily. 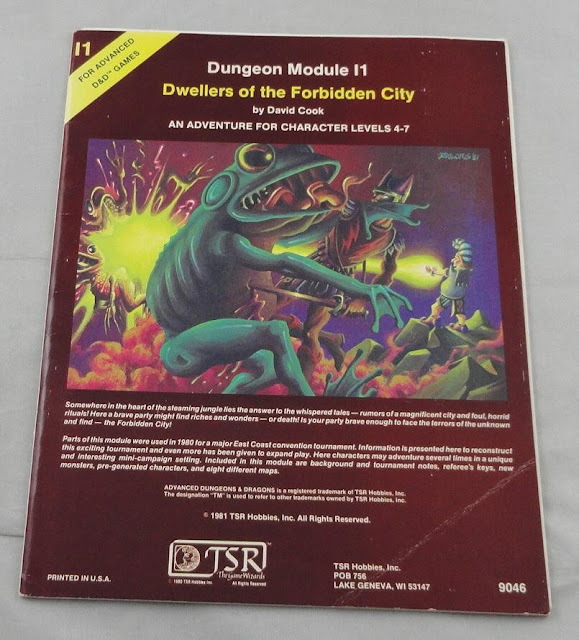 Adding in David Cook's l1 Dwellers of The Forbidden City enables the DM to add background into a serpent men backed horror fest to X1 The Isle of Dread. The whole thing comes off as a mini campaign of epic proportions of time lost adventurers adrift on the sea of worlds. 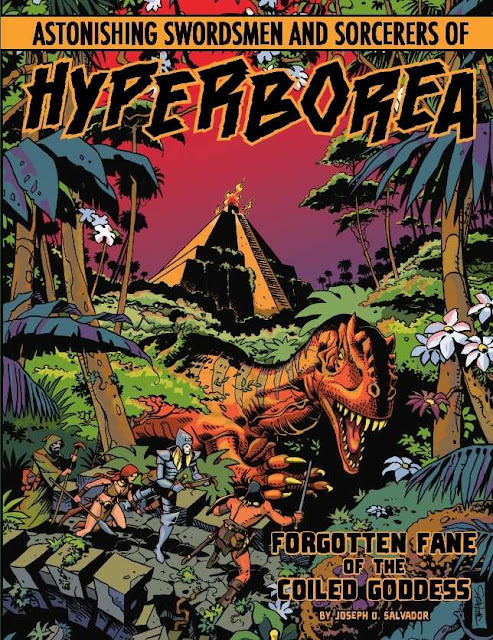 With a bit of prep time & some further play the whole campaign affair could be linked into Astonishing Swordsmen & Sorcerers of Hyperborea's The Forgotten Fane of The Coiled Goddess adventure as a mini mega campaign. Cue Raiders of the Lost Ark march here. The Sea of Worlds & the Elemental plane of Water provides the perfect excuse to get the PC's into more trouble as we'll see tomorrow. Stay tuned.